According to figures released by CBINSIGHTS, since the second half of 2016, the attention of artificial intelligence in a straight line trend growth, far more than big data and cloud computing, investment institutions to invest in artificial intelligence is beyond imagination, according to Goldman research about artificial intelligence, machine learning, and big data for the future economic benefits evaluation report on the development of the society, by 2025, in the financial industry alone can produce the value of $34 billion to $43 billion a year. China currently has more than 700 of the insurance agent, from such huge Numbers, still cannot completely replace the artificial intelligence agents in the short term, but artificial intelligence and health insurance has a very natural joint degrees, once put into application, will be to the pain points of traditional insurance for insurance institutions to bring new opportunities and new business growth space, especially change user common complaint against trouble, clause complex, difficult to claim, the price is high. Smart insurance consultant in the field of artificial intelligence, for example, can by big data, insurance model, combined with the artificial intelligence to help users to complete the process of buying insurance, insurance question by machine, completes the knowledge education, product selection, quotation and other issues, thus effectively avoid the subjective misleading, thereby reducing insurance disputes and harassment. As is known to all, Japan's electronics industry is very developed, often accompanied by artificial intelligence industry ahead, there are many Japanese insurance company has already begun to the artificial intelligence, including such an insurance company all staff together only 34 people, it is understood that the insurance company was officially opened on January artificial intelligence system, responsible for the adjustment of insurance business, the measure is expected to increase the working efficiency of 30%, and annual savings of about 140 million yen (RMB 8.31 million) wage costs. Now, the ai craze has also swept the domestic insurance industry. Faced with the rapid development of emerging technologies, more and more domestic insurance companies have gone from being ostracised to actively testing the water and are "crossing the river by feeling the stones" on the artificial intelligence road.Learned, including ping an insurance, China Life Insurance, PICC, Taikang Online, CPIC, New China Life Insurance, many insurance companies have been introducing artificial intelligence to the underwriting and customer service. Why artificial intelligence suddenly in insurance finance domain fire in recent years? After the outbreak of the Internet insurance industry in 2015, the industry began to become more calm and grounded in 2017.On the one hand, the players of the Internet are beginning to cut into "scene risks", hoping to keep more users.And on the other hand, traditional headed by ping an insurance giant after pain of transition from offline to online also began to get from the Internet to artificial intelligence, during the period of change may be even more than you imagine. In the past two years, the Internet insurance industry has witnessed the explosion. According to the data of CIRC released in 2016, our country has 117 insurance such as ping an health insurance agency to carry out Internet insurance business, achieve 234.797 billion yuan of written premium, 6.165 billion new Internet insurance business policy, accounting for 64.59% of the total quantity of the new policy. Internet players the "invasion" of traditional insurance industry, once thought to be the traditional insurance industry "subversion", especially when such licensed Internet ping an health insurance companies to enter this area, not only broke through the regional restrictions, to operate across the country, and Internet channels to reduce its operating costs and the cost of a guest. "There is a huge demand for insurance, but insurance is hard to sell, and insurance is hard to buy," said Yin Ming, vice President of ant financial and President of insurance companies, in an internal email. It is this problem of "hard to sell" problem, which promotes the development of insurance technology in the insurance industry, which also leads to the development of the related artificial intelligence industry. 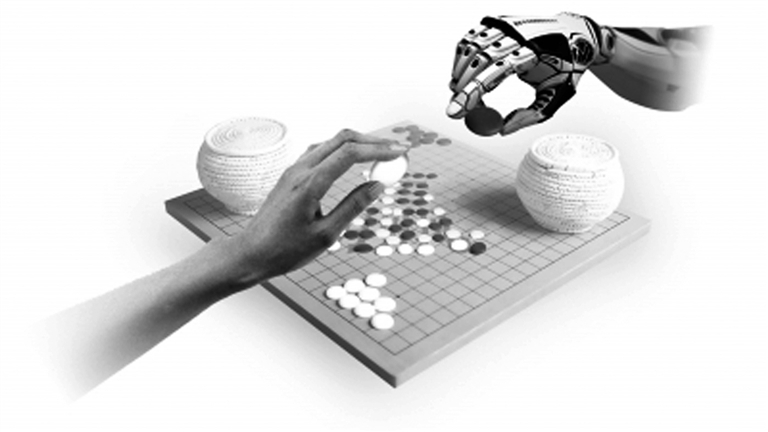 Since it is the general trend, what is the development of artificial intelligence in China? "Machines will be smarter than humans, but machines won't rule humans because they don't have imagination and values," ma said at the 2016 cloud conference. Baidu world conference in 2016, the company's founder and CEO robin li, Baidu fully shows the "brain" of Baidu artificial intelligence, from his speech, image, natural language understanding and user portrait and so on four aspects elaborated the Baidu the ability of the brain. Among them, robin li, the scene shows the use of emotional speech synthesis technology of famous film star Leslie Cheung voice video, through the emotional speech synthesis technology and fans of the "dialogue" from a distance, shocked the audience, the audience call "awesome!" Baidu has announced a strategic partnership with China life, and the two sides will use their respective strengths to deepen cooperation on platforms, data and artificial intelligence. Of course, China life is not the first to "test water" artificial intelligence. As early as 2012, New China Life Insurance had used artificial intelligence technology system in its messaging and telephone interactive service platform, answering common counseling questions. In 2016, Zhongan Insurance, founded by the third horse, is the next city to promote the whole ecological informatization of insurance. Kai-Fu Lee worked in Google, Microsoft, apple and so on of the world's leading science and technology company as a global vice President, in his view, traditional enterprises, such as stock data, insurance, banking, all kinds of financial data is very rich, and is a very narrow area, without the understanding of the interdisciplinary, can quickly produce commercial value. To predict that as the data electronically degree deepening, relatively concentrated, and the industry of high data quality or will be the first reconstruction by artificial intelligence, machine help humans work and improve efficiency. What can you do in 7 minutes? In recent days, Ping An Life insurance has completed a claims case in seven minutes, and the quick order of the claim is a shock to Zhejiang customer Yang, who has yet to finish a cup of tea. In order to change the nuclear protection slow, the claim is difficult, many insurance companies try to use artificial intelligence technology "cure" this stubborn disease. For example, the Ping An life insurance launched "flash compensate" audit, using the latest technology to implement the intelligent of the background and conclusion issued by claims quickly, to ensure customer claims the results can be received within 30 minutes. First, pricing insurance products through data analysis to achieve customization. Secondly, the risk reduction is reduced through machine recognition. It is understood that the image recognition technology of ant financial service platform is one of the important applications of the nuclear compensation process, and the compensation link of its consumption insurance is more than 90% relying on the background technology to identify and determine. The more important link is the recognition of image similarity. Third, optimize business processes through technology to facilitate transactions. At present, some Internet insurance companies and third-party platforms are beginning to make the technology business an important piece. Such as the Ann insurance announced the formation of the independent technology company, focused on more cutting-edge technology, including block chain, artificial intelligence and big data, the platform including open platform and intelligent block chain, cut from the financial and medical health. Finally, the medical system structure is becoming more and more complicated, the information has been diversified, often lead to the patients due to the insufficient information and extra health care decisions, there is no actual curative effect, increase the unnecessary costs, using artificial intelligence technology, can guide the individuals and enterprises to make better health care decisions. Since artificial intelligence is so hot, why not accelerate the application of the insurance industry? Current insurance areas for exploration of artificial intelligence, but also faces some obstacles, especially the problem of data island: first of all, in health related health data, medical data is retained within the health care system, a small amount of accumulation in commercial medical company, sharing and circulation difficulties, it is difficult to systematically used for health insurance; Second, the insurance industry trade data interchange inefficient, a customer in different insurance company insured information, although there is some interaction between the peers, but the basic it is artificial, amount of data cannot meet the smart learning scenes. The shortage of talent is another sore point for the industry. Artificial intelligence (AI) as a new field, its itself is a variety of professional and technical field of composite, the difficulty is very high, very few professionals, and a third in the United States, understand insurance and interdisciplinary talents of artificial intelligence is scarcer. In addition, Lin Hongxiang believes that the insurance industry also faces a generally weak and under-investment in its IT foundation, and the overall lack of long-term evolution planning. "Especially for companies that are struggling to build information systems, when it comes to artificial intelligence, it's like building towers. "There is still a long way to go to realize intelligent risk control. But overall still that words, the future is bright, but road is tortuous. In the future, Believe that the combination of the development of artificial intelligence and the financial insurance industry, will surely have extraordinary spleen-dour, can not only benefit millions of professional underwriters, let your insurance to sell more efficient and more convenient, more can benefit thousands policy-holder, let your insurance to buy our products, claims more at ease. The insurance industry will be "good buy and sell" in the future!